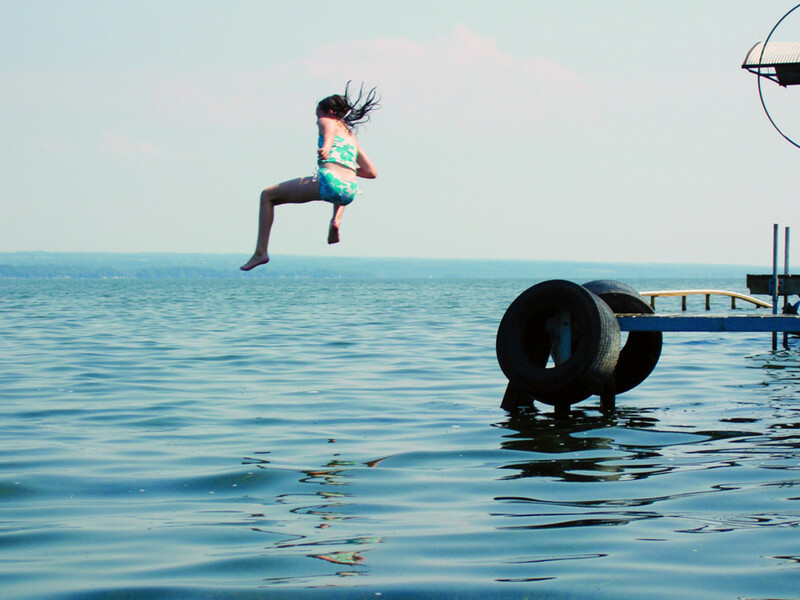 Take precautions before letting your family jump into the water near any dock that has electrical power. Last weekend an 11-year-old girl in New Jersey and a 19-year-old man in Ohio were killed while participating in a seemingly harmless activity — swimming near a boat dock. Local news reports said the girl died when she touched an electrified boat lift. The young man in Ohio died from electrical current in the water. He was trying to save his father and the family dog, who also were struggling with the electrical current. Swimming deaths from electricity fall into two catgeories: electrocution and electric shock drowning. Electrocution can happen in fresh water or salt water when a swimmer touches energized metal dock fittings, boats or other structures that are energized because of faulty alternating current wiring. ESD occurs when alternating current gets into fresh water from faulty wiring and the current passes through a swimmer, causing paralysis or even death. In the case of ESD a swimmer does not need to be touching anything and small amounts of electricity can be incapacitating. American Boat and Yacht Council president John Adey said more people need to be made aware of the dangers of bad dock wiring practices and the key to electrical safety around the water is ground-fault protection. The ABYC’s standard E-11 “AC & DC Electrical Systems on Boats” calls for a full ground-fault protection scheme on boats. BoatUS said the risk of ESD is greatest in fresh or brackish water, so some bodies of water, such as estuaries or rivers, may be considered dangerous only after heavy rains. In salt water, electricity takes the path of least resistance. Drowning swimmers usually can’t call for help because their mouth is mostly underwater. An ESD victim can appear confused about what is happening and may be able to shout while feeling numbness, tingling, pain or even paralysis. * Test your boat for electrical leakage into the water. BoatUS also suggests that if you see a distressed person in the water near a dock, don’t jump in. First shut off power to the dock at the breaker and, if equipped, disconnect any power cable to the vessel. If the power cannot be shut down, follow the “reach, throw, row, but don’t go” mantra by using an oar or boathook to reach the victim or throw a flotation device to the stricken person.